The Bank of Japan should ditch its negative interest rate policy because it is spreading unease among savers and small companies, the main opposition party said a month ahead of an Upper House election. 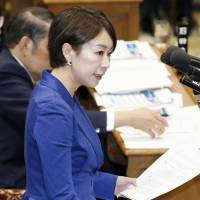 Shiori Yamao, 41, a former public prosecutor turned policy chief of the Democratic Party, spoke in an interview on Tuesday at her offices in Tokyo. Days earlier, the ruling Liberal Democratic Party issued an election platform that had no reference to monetary policy, whereas monetary easing by the Bank of Japan had been a centerpiece of past election agendas. “The Democratic Party wants to call for the withdrawal of negative interest rates,” Yamao said. “Negative interest rates shift the burden onto savers. They cause unease among smaller companies because they make financial institutions unwilling to loan, or prompt them to call loans in early,” she added. Her party will call for a more flexible monetary policy, she said. The BOJ unveiled a negative 0.1 percent interest rate on Jan. 29, prompting a drop in consumer confidence that has yet to be restored. A poll published by the Asahi newspaper in February found 61 percent of respondents said they did not expect the policy to have a positive effect on the economy, compared with 13 percent who said they did. Economists predict there will not be any further easing at the next BOJ policy meeting on June 15-16. Bank of Tokyo-Mitsubishi is considering dropping out of the group of 22 primary dealers for government bonds, amid concern about holding the bonds under the negative rate policy, the Nikkei reported. It would be the first domestic bank to leave the group, the paper said. Yamao’s party faces a battle to differentiate itself from Abe’s coalition, whose policies encroach on similar territory by focusing on struggling families ahead of the July 10 Upper House election. Abe has said the LDP-led government will, however, have difficulty funding its social security pledges after postponing an increase in the sales tax. Those promises, which include bolstering child care to enable more mothers to work and providing cash handouts for elderly people on low incomes, should be carried out from April regardless of the tax postponement, Yamao said. They could be funded by cuts in other areas, and possibly issuing extra government bonds for a limited period. Abe has promised bold economic measures in the autumn, but offered little detail beyond bringing forward the opening date for an ultra high-speed maglev rail link from Tokyo to Osaka. 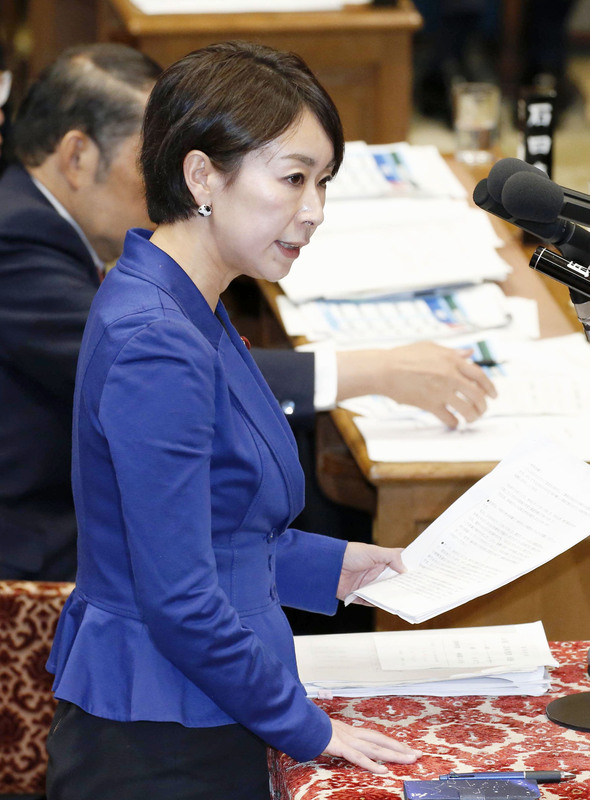 An actor in her youth who starred in the musical “Annie” for a two-year stage run, Yamao made her name in politics earlier this year by grilling Abe in the Diet over his government’s failure to eliminate waiting lists for preschool child care. Weeks later, she was forced to apologize and bring in a lawyer to investigate after a tabloid report that her office had claimed excessive gasoline expenses. Only 12 percent of respondents to a poll by the Asahi Shimbun daily newspaper, published June 6, said they plan to vote for the DP in the Upper House election, while 39 percent will opt for the LDP. Yamao said the lack of support reflected the fact the DP has yet to publicize its policies. A manifesto will be released by the middle of this month at the latest, she said. Among the DP’s main policies will be opposition to Abe’s long-held goal of changing the pacifist Constitution. It will also propose lowering the age at which young people can run for office, and seek measures to increase the number of women in the Diet, Yamao said.